Who said Halloween can't be fancy? 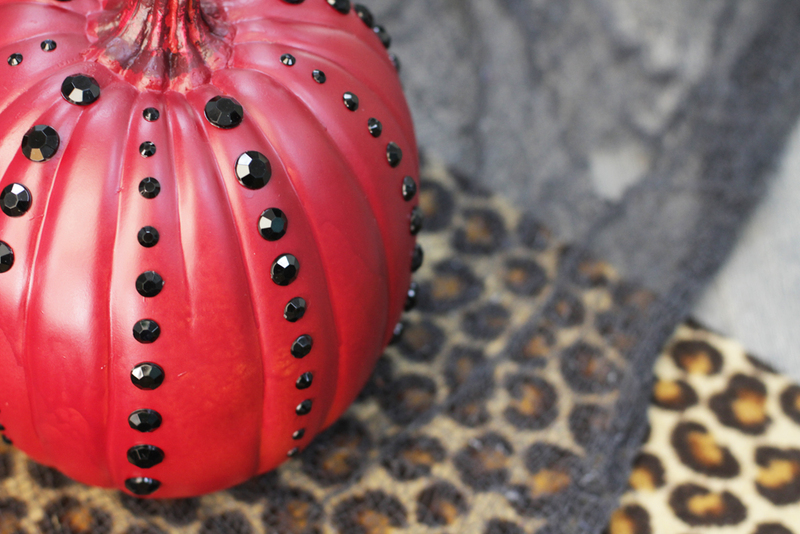 We LOVE these two step gemstone pumpkins. All you need is spray paint and sticker gems. Even the "non-crafter" can make these beauties. Scroll down for this easy tutorial. 1. Spray paint your pumpkin burgundy and let dry. 2. Apply fake gemstones in pattern of your choice. Make sure to press them down so they stick!